The Magnolia denudata Yellow River, also known as 'Fei Huang' is absolutely fantastic. Introduced in recent years, it is still relatively a rare Magnolia with in the UK, yet it is also one of the most striking and magnificent Magnolias you will ever see. 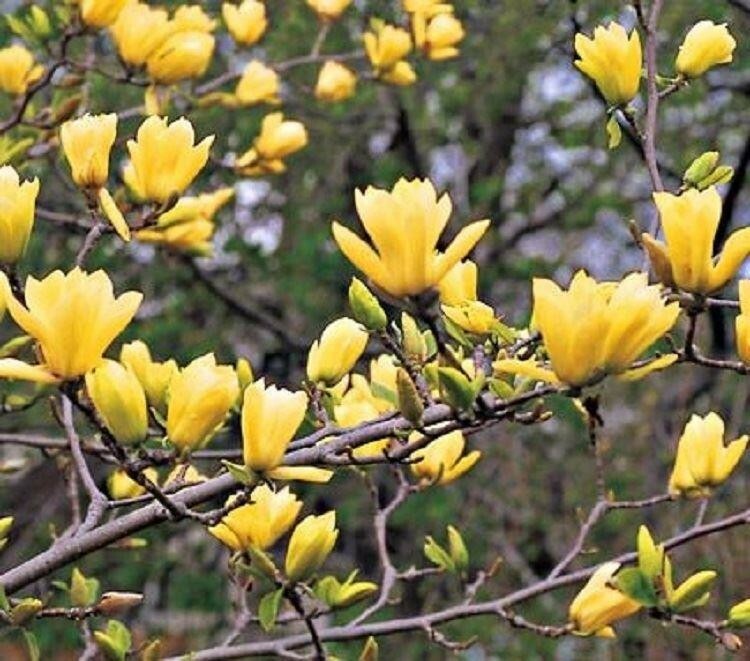 What sets it apart from the majority of other magnolias you see is the flower colour, instead of the more usual white or pink, it is as the name suggest an attractive buttery yellow.Why not be among the first to grow one & have it flowering in your garden? Originating in the orient, the main attraction of this beauty as well as the yellow flower colour is the large flower size, up to 6'' across with a magnificent scent. This fragrance and such an unusual shade in magnolia will really get the neighbours talking. Supplied in approx 5 litre containers at around 100-120cms tall.